I understand that the Anglican Church is trinitarian in belief. However, are there any known non-trinitarian apologists in the communion? Any information both historical and present-day would be helpful for my studies. Historically, there was a small group of Anglican clergy in the late 18th and early 19th centuries who became convinced believers in and exponents of the non-trinitarian Christian theology of Emanuel Swedenborg (1688–1772), but who, instead of separating from the Anglican Church, remained "non-separatists," continuing to serve as pastors of Anglican churches while preaching, teaching, and publishing Swedenborg's theology. Hartley was Rector of the Anglican church of Winwick, Northamptonshire, England from 1744 to his death in 1784. He became acquainted with Swedenborg in 1769, both corresponding with Swedenborg by letter and visiting him personally. He translated at least one of Swedenborg's works from Latin into English. Swedenborg's answer to nine questions on the Trinity and related subjects asked of him by Hartley was published posthumously, and remains in print today. Clowes was an Anglican clergyman who accepted the doctrines of Emanuel Swedenborg in 1773, the year after Swedenborg's death, and early in Clowes's pastorate as the first Rector of St. John's Anglican Church in Manchester, England. He was the most active of the Swedenborgian non-separatists who were Anglican clergy, translating a number of Swedenborg's works, publishing numerous books and pamphlets, and working indefatigably to spread Swedenborg's theology. Though he was brought up on charges of heresy, he was cleared of the charges, and remained the much beloved Rector of St. John's Church for sixty-two years until his death. Biographical information on the Rev. William Hill is a little harder to come by. He was an Anglican clergyman from England who preached both in England and in America. Like Hartley and Clowes, he came to accept the non-trinitarian Christian doctrines of Emanuel Swedenborg while remaining in the Anglican communion. Life of Emanuel Swedenborg, by Nathaniel Hobart. Allen and Goddard: Boston, 1831, p. 165-167. The Anglican church in many places is extremely lax in disciplining or evicting those with heretical beliefs. Historical Anglicanism had no capacity for non-Trinitarianism, and even though the foundational documents of the Prayer Book and the 39 Articles are accepted to varying extents in various provinces, one of the foundations of the Anglican Communion called the Chicago-Lambeth Quadrilateral still affirms the ecumenical Trinitarian creeds. The sad reality is that many ministers and bishops have been allowed to keep their positions despite publicly teaching things which directly contract the creeds, the 39 Articles, and the Bible. The most famous Anglican heretic is retired bishop John Shelby Spong, who rejects theism, the trinity, the virgin birth, miracles, prayer, and resurrection. A 2014 YouGov survey of more than 1500 Anglican clergy in the UK found that 2% think God "is no more than a human construct." An earlier survey from 2002 of almost 2000 clergy found that more than 75% of Church of England clergy overall accept the Trinity, with the implication that more than 20% do not accept it in some way. Marcus Borg (1942-2015) was an Anglican New Testament scholar (not sure if that qualifies as "apologist"), who, strictly speaking, wasn't even a theist. He was a self-described "panentheist". Even though Anglicanism is non-authoritarian compared to Roman Catholicism, this is a pretty non-negotiable statement. So even if some contemporary pastors in the Anglican Communion purport to be non-Trinitarian in belief, at least according the the original standards, the Anglican Church is decidedly Trinitarian. So if these non-Trinitarian "apologists" you ask about claim to be Anglican, can they really be considered Anglican apologists? It's a little like asking if there are any non-Papist apologists in the Roman Catholic Church, especially when the first attribute listed to Anglicanism in the Thirty Nine Articles is a belief in the Trinity. The fact that such a question can be taken seriously perhaps is an indication of the direction the Anglican Church has taken in departing from its founding ideas. Not the answer you're looking for? 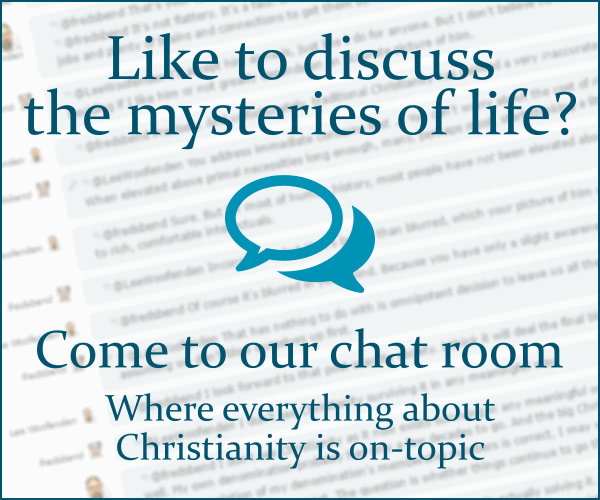 Browse other questions tagged trinity anglicanism non-trinitarian or ask your own question. Are the Disciples of Christ trinitarian?